Hellllloo and Happy Friday! Did everyone have a good week? Mine went by very quickly, but unfortunately I caught a bug that's been going around at work. It seems like twice a year everyone on my floor gets sick. Not fun at all! I'll be relaxing this weekend, but today I'm sharing five things that I'm loving at the moment! A few weeks ago, I exchanged the Mizuno Wave Rider 11 for these and I'm in love! Brooks shoes seem to be a perfect match for my foot, and I've never had any issues with the shoes I've tried (Adrenaline, Ravenna and Pure Flow). I also have the PureFlow 3, and these have a few updates that I'm really loving: cushioned tongue, softer laces, and slightly firmer sole. It seems like my feet prefer light-weight shoes like this rather than a stability shoe, so I'm going to keep wearing these until I have issues! I absolutely love Pittsburgh's sports teams, and the Pirates are my favorite. This year we were picked by Buster Olney to win the World Series, and the boys have been playing really great so far this year (thanks to some fantastic pitching and Alvarez moving off of third base...). I'm still not sure how I feel about McCutchen cutting off his hair, though! A while back, I mentioned wanting this liquid eyeshadow. I finally got it and I'm in love! I use Playa del Pink as an everyday eyeshadow and it's absolutely gorgeous. It's so easy to use (just dot on eyes and blend out) and looks great. I've gotten so many compliments on it, and it only takes a few seconds! 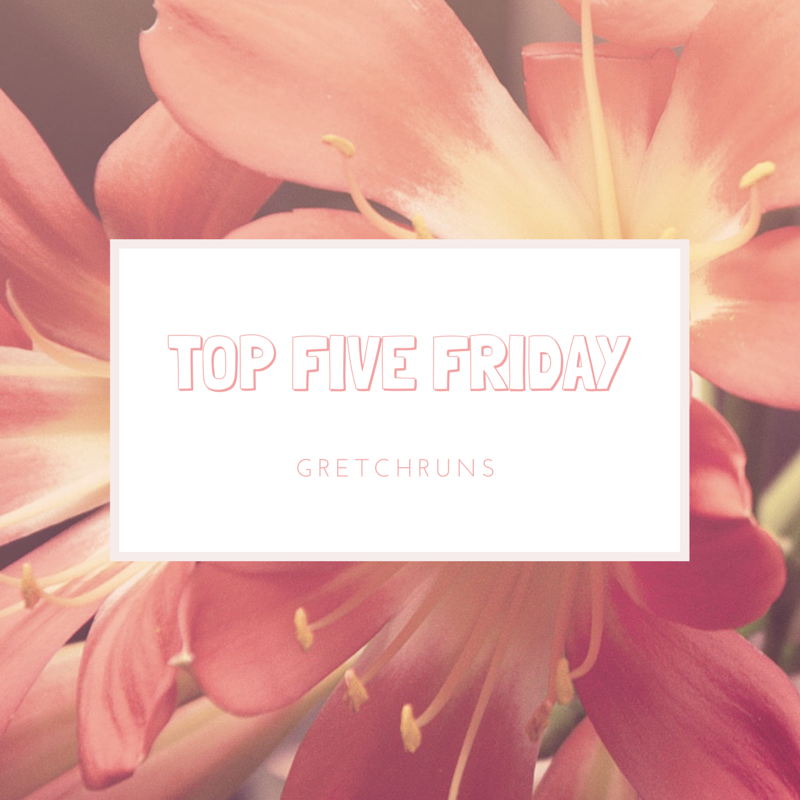 I haven't been in the mood to watch TV shows much this week, so instead I'll be sharing 5 movies that were recently added to Netflix that I can't wait to watch! I love all Nicholas Sparks's movies, and I LOVE James Marsden. Can't get any better! I never saw this when it was getting all the Oscar buzz, so I'd love to see it now. There's such an all-star cast and the plot sounds really interesting. Even though I have no dancing ability, I have a weird fascination with ballet documentaries. This one sounds really interesting and follows the New York City Ballet. Another all-star cast, and another film adaptation. The novel was chosen by Time magazine as one of the 100 best English-language novels from 1923 to 2005- so it's got to be good, right? I love the original song, and this acoustic version is so beautiful! I think Madilyn has such a beautiful voice. If you haven't listened to her covers, check out her YouTube channel. Amazing! This song reminds me a lot of Michael Jackson's style, and I really like it! I've been obsessed with The Weeknd ever since I heard their song on the 50 Shades soundtrack. Great sound! This is a perfect running/working out song for me. Adding to my playlist now! I just love the message of this song: Mind your own biscuits and life will be gravy. Simple, catchy song but more people should listen and follow her advice!! EXTREMELY IMPORTANT QUESTION: the liquid eye shadow - do you find at the end of the day, it gets sort of crumbly and collects in the creases of your eyelid? Not at all!! It's really creamy and smooth all day because of the coconut water. Sometimes I notice that it fades a bit, but it never gets crunchy or bunches up!! Hope that helps! Adding Ballet 422 to my queue. Thanks! I love that eye shadow color. My colors aren't flashy so I have the usual pinks and beiges for everyday use. Same here- I like it to be neutral with a little something special! Ooh!! I didn't know TJ's had a cold brew coffee too! I have passed up the Starbucks one at Target several times because of the price and it's in a humongous container that I don't know where to fit in my fridge! I will definitely check out the TJs one! Your (Minus the) leather jacket looks amazing on you!! So glad you are happy with your purchase! I try not to make people go too broke! But I can't help recommending tried-and-true favorite closet staples like this jacket. :) Just added you back on snapchat!! Thanks for letting me know your username and trust me, my story is not that exciting either! Buccos-yesss! I just bought the cold brew concentrate for my husband and he is loving it and definitely saving $$ - I need to experiment with some fun flavors! Yay for another Pirates fan! The concentrate is great and I also have to experiment a bit. Coconut milk is also great with it! On The Road is a phenomenal book - I've never seen the movie, but if you can, I highly recommend the book! I've also been all about the cold brew coffee - I like to add it into my smoothies in the morning. It's a 2 for 1 plan of attack that way I don't have to drink two beverages... just one : ) Hope you have an awesome weekend!! That's great to hear. Adding to my reading list!! And I'll have to try the cold brew in my smoothie..great idea Jamie! Have a great weekend as well! Oh, I love this list! Canadian Netflix doesn't get all the same stuff that you guys get, so I'll have to check it out. I like the way "idontearthat" thinks regarding adding cold brew to smoothies ^^^^ that is brilliant! That's a bummer :( Jamie's a smarty..I'm going to try it as well! I have not tried the coffee concentrates...but I WILL! I like Kasey Musgraves and run to her song "Blowin' Smoke"? I'm also a Nicholas Sparks fan. I'll have to check out that song! She seems really sweet and I like her voice a lot :) Have a great weekend! Oddly enough I saw The Best of Me two weekends and bawled. Waaaah. I love James Marsden too! Oh Nicholas Sparks...you know how to pull on my heart strings. I had purchased a pair of Brooks Pure Flows but they gave me blisters. So they did not workfor me. I loved the Best of Me book. The movie was just as good. AH yes to Ballet 422 and Cake! Looking forward to both of those. and I LOVE the Nocturnes. Thanks for the reminder! Yay!! So glad I could help :) Have a great weekend! I usually stick with Brooks too. I've had several pairs of Adrenalines, and somewhat recently purchased the Ravennas. I've heard good things about the Pure Flow but I'm not sure if they would be good for my over pronation. They certainly look awesome though and I would like a lighter shoe. Iced coffee is the best in the summer! Have a great weekend! I don't think they would work either..they're very neutral. Ravenna is a great shoe though and I hope you like them! Drinking my iced coffee now :) Enjoy your weekend! Love that you have Chopin on your list (as a classical music geek). And you brought back memories of going to Pirates games when I lived in Pittsburgh! I lived walking distance to the stadium so I would walk from work to home and pass right by it every day. sorry about what my nats did to your pirates this weekend, :) hope you had a good one!